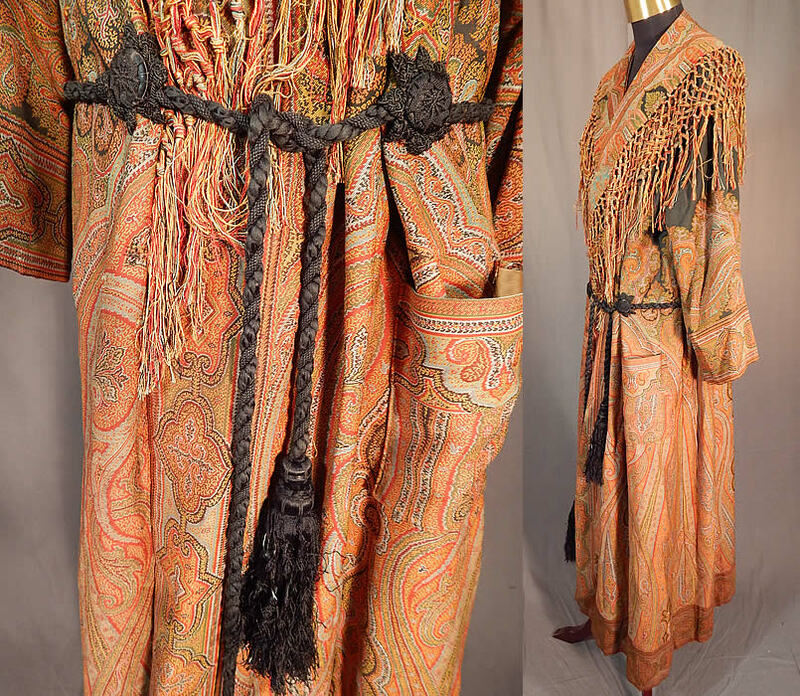 This Victorian era antique wool paisley shawl collar belted robe morning dressing gown dates from the 1880s. It is made of jacquard hand loomed woven wool done in strong bright vivid vibrant autumn fall colors, with the black wool centered and pieced on the top. 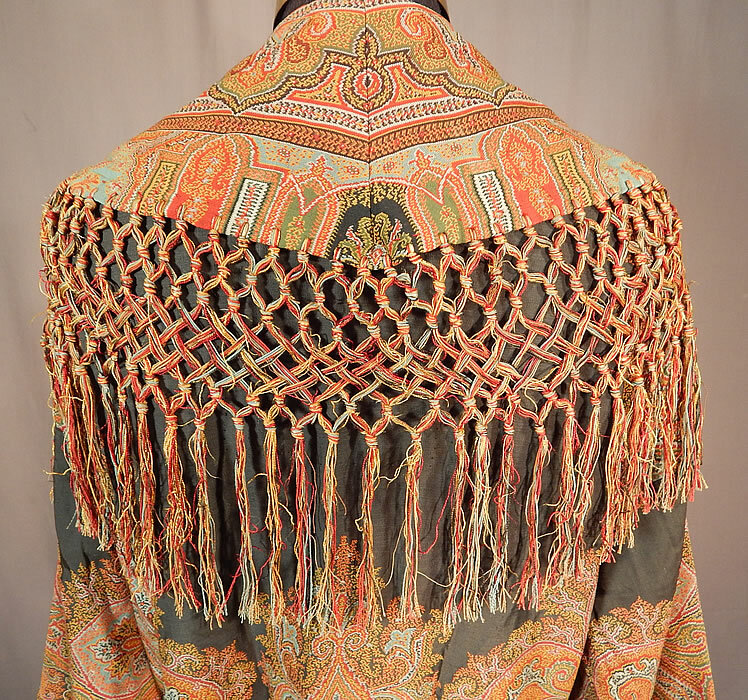 This stunning shawl was created into a long floor length robe morning dressing gown, with wonderful workmanship and detail. 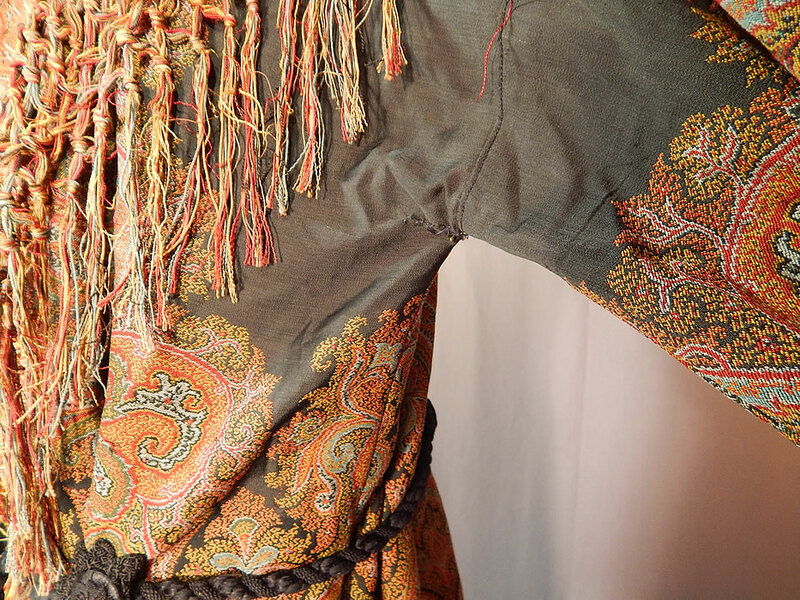 There is a wide shawl collar, with decorative hand knotted macramé fringe border trim, a black silk rope tassel tie ends sash belt, long full sleeves, a patch pocket, inside snap closures along the front and is fully lined in a gold polished cotton fabric. 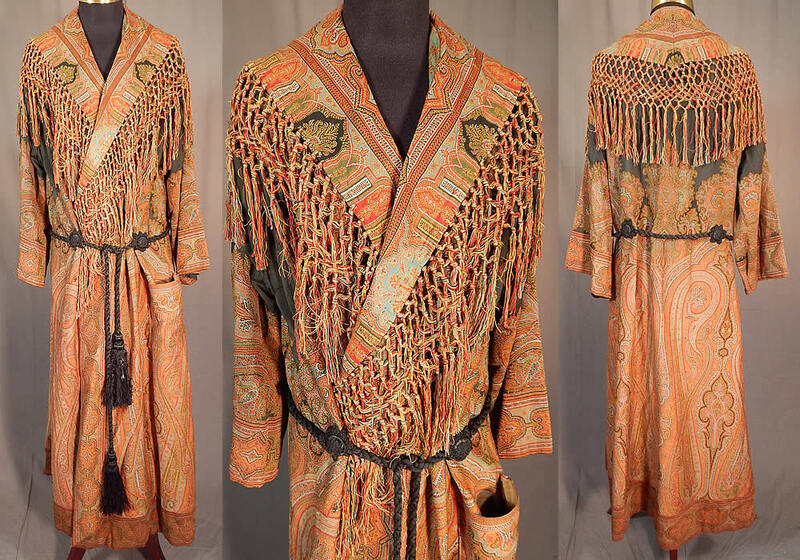 The robe measures 48 inches long, with a 44 inch chest and 40 inch waist. It is in good condition, with only a few small mends under the arms. This is truly a rare and exceptional piece of paisley textile art!